Rich and ultra creamy, drinkable chocolate is a delicately sweetened hot chocolate that is richer and with a higher chocolate content than many hot chocolate recipes. It’s the perfect way to enjoy high quality chocolate. It’s a simple method, and it allows the pure flavor of superior chocolate to shine. I’m a fan! It’s the type of drink you get a some of the nicest chocolate stores around here, but it’s so easy to make at home (and cheaper too!). I used a Guittard semisweet baking chocolate, which is a very high quality and lovely chocolate to work with. (And, it uses sunflower lecithin which is a great boon to those sensitive to soy.) Sooo delicious! You can see if you can get some locally, but you can get the chocolate chips online (Guittard Dark Chocolate Chips). Any favorite dairy-free chocolate will do nicely in this recipe. To serve, top with coconut whipping cream and shave a little chocolate over the top. Yum! Drinkable Chocolate: How to Enjoy Good Chocolate (and a Fair Trade Baking Box Giveaway!) Prep time: 2 mins Cook time: 3 mins Total time: 5 mins Serves: 1 Although I generally eat and recommend dark chocolate, I find that the semisweet Guittard bar is just about right in this recipe. It works out to be about 10 grams of sugar per cup, which is pretty decent. You could also use unsweetened chocolate and sweeten to taste using honey, maple syrup, stevia, or coconut sugar! For a little added flavor, add up to ¼ teaspoon vanilla extract as well (fair trade recommended). Heat milk until almost simmering. Put back on the warm burner, and whisk until very smooth and the chocolate is all melted (if it’s not hot enough to your taste, go ahead and turn the burner on low and reheat until it has reached desired temperature). This post may contain affiliate links. Thanks for supporting this blog! And thanks to Fair Trade USA for sponsoring this giveaway. 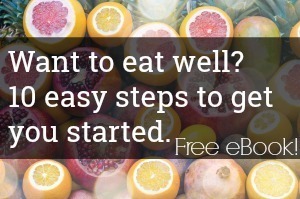 « Win Grain-Free Meal Plans, eBooks, and More! Thank you for the recipe!! I’ve been looking for a french style pot of chocolate recipe that won’t string my kids out on sugars! ♡ Would cacao nibs work at all? Thank you for the recipe!! I’ve been looking for a french style pot of chocolate recipe that won’t string my kids out on sugars! ♡Haha! Would cacao nibs work at all with extra sweetener? I’d love to win this sweet givaway!! This puts a smile on my face just dreaming about winning this! I pinned it to my Giveaways Board in Pintrest …. have a Blessed Holiday Season everyone. Please I could use all of these products right now!!! I love your posts! Thanks for the info and chance to win! I crave a great sipping chocolate in the cold winter months. I have been looking for a healthy option. Bless you. Sounds delish! Appreciate the info on the Fair Trade! Thanks! Yum! Thanks for the great info! Love tea and coffee. My kids love chocolate. There is something for the whole family here. Would love to win! Thanks for the great giveaway! I am subscribed and crossing my fingers! I subscribe!! This is so cool!